Boil the potato until soft and tender then add some butter, salt and pepper. 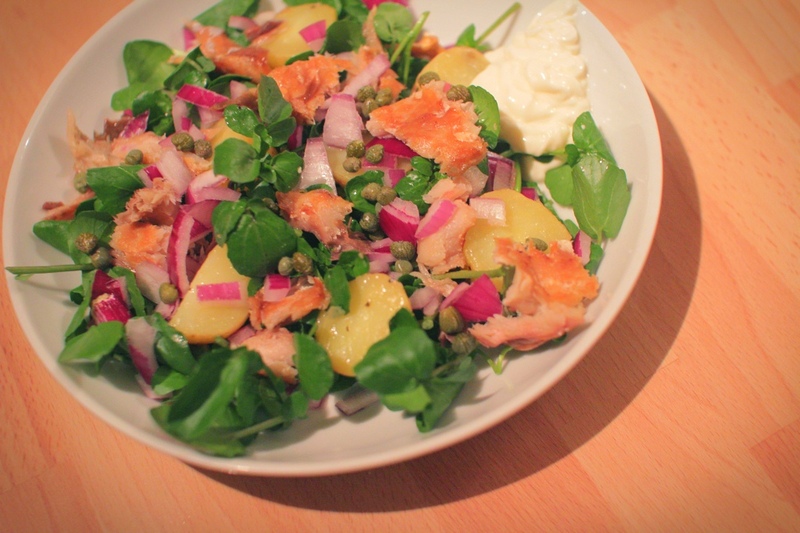 Put the watercress on plates and top with the potatoes, flaked mackerel (heated if you wish – takes one minute in the microwave), red onion and capers. Drizzle with a little olive oil. Serve with mayonnaise.